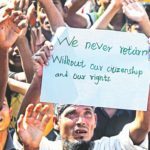 16 Nov 2018 – Repatriation Postponed as Rohingyas Feel Return to Myanmar Still Not Safe – Prof CR Abrar, who teachers international relations at Dhaka University, said it was not surprising. 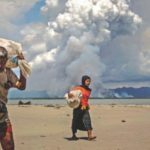 “How can the Rohingya go back to Rakhine where people still face rights abuses and confinement? There is a threat for Rohingyas of being interned in the camps for the rest of their life,” he said. New York-based Human Rights Watch yesterday demanded the authorities halt the repatriation. 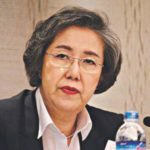 9 Jul 2018 – UN Special Rapporteur on Human Rights in Myanmar Yanghee Lee has expressed concern that a memorandum of understanding signed in June between the UN and Myanmar has been kept secret. “While I am not aware of the exact terms of the MoU, I am extremely concerned that it has been kept secret, including by the UN agencies involved, and urge the parties to make it public,” she said. 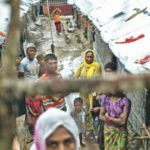 7 Jun 2018 – Bangladesh’s ICC Cooperation Is Crucial for Rohingya Justice – Since August last year, the world has witnessed how hundreds of thousands of desperate Rohingyas have fled across the border into Bangladesh, bringing with them tales of unimaginable horror. 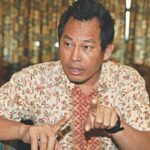 6 Dec 2017 – Dr Maung Zarni, a UK-based Burmese genocide scholar and human rights activist who campaigns for the end of Myanmar genocide against Rohingyas, tells how the international community has failed to take concrete and effective actions to end the state-directed persecution spanning 40 years. 19 Sep 2017 – Arakan is burning. 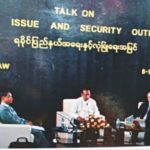 The Burmese rulers appear to be on the brink of achieving their much-longed-for a “final solution” of the Rohingya question. A reign of terror has been let loose in northern Arakan. Rohingyas are being shot, butchered, disemboweled, torched and drowned. Women are being raped and gang-raped, and children are being mutilated often in front of their helpless parents and siblings. The world hardly paid heed to the ruthless killings going on in Bangladesh in those long nine months. The tales of the macabre were told and retold by countless many here. And yet, the world did not have time to listen. Forty-six years after the bloodbath that hardly left any family untouched, Bangladesh has finally taken initiatives to get recognition of the Pakistan army led genocide by the UN.